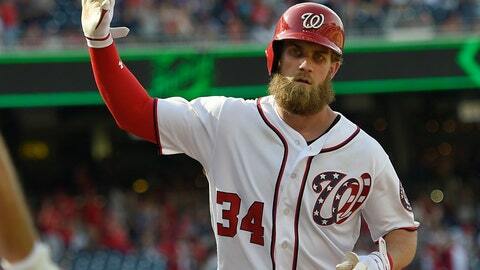 WASHINGTON (AP) — From the moment Bryce Harper signed his $330 million, 13-year deal with the Philadelphia Phillies, this game is the one everyone has been thinking about. There has been something of a parlor game in both the nation’s capital and Philadelphia lately, trying to guess how Harper will be greeted upon his return. He did, after all, win 2012 NL Rookie of the Year and 2015 NL MVP honors with Washington. He helped the club make four playoff appearances. He thrilled spectators by winning last year’s All-Star Home Run Derby in his home ballpark.